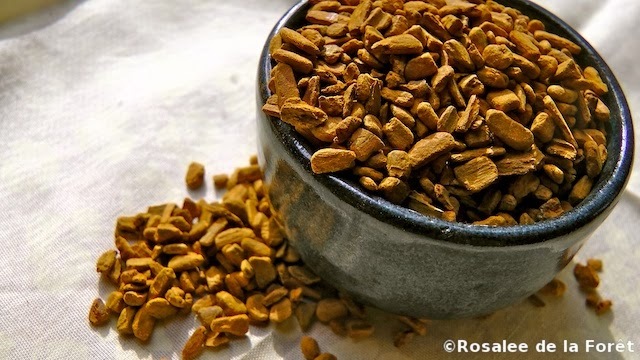 Cinnamon bark by any other name would certainly taste as sweet… Or so the saying goes. There is some confusion concerning cinnamon, as the common name refers to several different species of cinnamon that are similar but not the same. 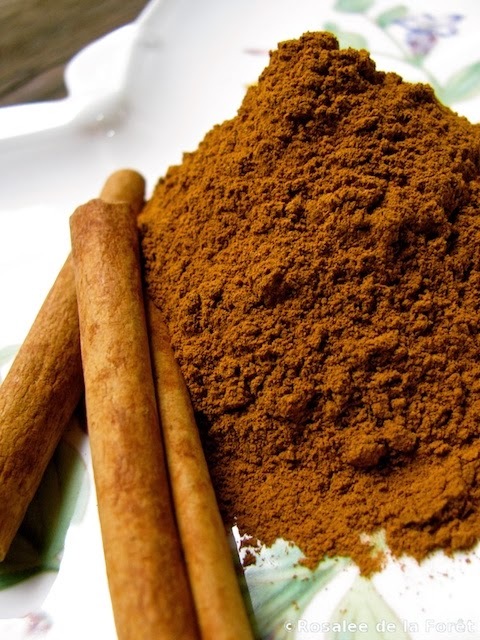 In the United States, if you buy ground cinnamon from the store you are most likely buying Cinnamomum cassia (Cassia cinnamon). 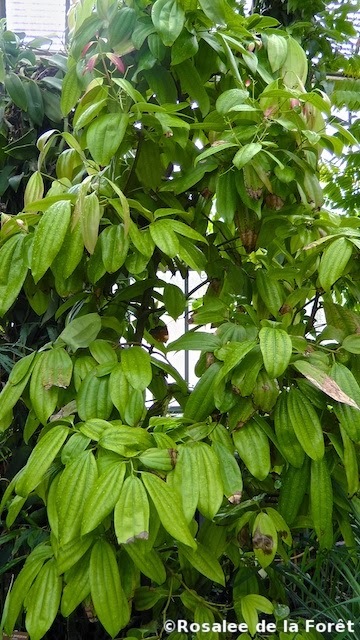 This cinnamon is native to Indonesia and now grows in tropical climates all around the world. In other parts of the world, Cinnamomum zeylanicum is considered the “true cinnamon” and is also called Ceylon cinnamon. Ceylon cinnamon is considered to have a sweeter and lighter flavor, while cassia cinnamon is considered to be spicier and more pungent. Ceylon cinnamon is native to Sri Lanka, or Ceylon. Referring to the difference in taste between these two spices, chefs prefer Cassia cinnamon in savory dishes such as meats and soups and prefer the sweeter Ceylon cinnamon in dessert dishes. If you are wanting to take large doses of cinnamon regularly then it is probably best to choose Ceylon Cinnamon (Cinnamomum zeylanicum). There are actually over a 100 different varieties of cinnamon trees out in the world, but these two are the most commercially available. When it’s necessary to distinguish between these two kinds of cinnamon, I’ll refer to them as either Cassia cinnamon or Ceylon cinnamon. The aromatic cinnamon spice has a rich history that reaches at least as far back as 2700 BC when it was first written about in Chinese texts. The Chinese continue to use cinnamon extensively and distinguish uses between the bark (rou gui) and twigs (gui zhi). According to Lesley Tierra, among the many uses of cinnamon the twigs are used for fevers with an absence of sweating while the bark is used when there is copious sweating. We find cinnamon in the Bible when Moses is told to make holy anointing oil using two different kinds of cinnamon. The ancient Egyptians also used cinnamon, not only to flavor food but also in the embalming process. Cinnamon was a highly regarded spice worth an incredible amount. In the 1st century C.E., Pliny the Elder described in writings that cinnamon was 15 times the value of silver per weight. For centuries the Arabs controlled the cinnamon trade and there were many fantastical stories about where cinnamon came from and how it was cultivated in order to enhance the magic surrounding this sweet foreign spice and keep prices high. Battles were fought over cinnamon. During the 1500′s the Portuguese colonized Sri Lanka and began to control the cinnamon spice trade. By 1658 the Dutch East India Company had taken over operations. Finally, by the late 1700′s the English defeated the Dutch and took control of the island, but by this time the cinnamon trade was declining due to the introduction of the more abundant cassia cinnamon cultivation in other parts of the world. Although we are most familiar with cinnamon as a culinary spice that really goes well with apples and pastries, there is a a long list of cinnamon health benefits. Its pleasing, spicy, aromatic, and sweet taste combined with its warming attributes can ease digestive woes by increasing circulation and moving along stagnant digestion. This makes it useful for a variety of digestive complaints, including indigestion, gas, and cramping. "Cinnamon bark is one of the pleasantest of the spices, warming, diffusibly stimulating, and leaving behind a gentle astringent influence. It acts upon the stomach, and through it upon the whole sympathetic system - also promoting assimilation, and stimulating the entire nervous and arterial organisms to a moderate extent." In the HerbMentor Radio show of December 2009, jim mcdonald gives an almost two-hour lesson on Vitalist treatments of fevers. During that session he discusses using cinnamon for fevers in cases in which the body externally feels cold and clammy but there is copious sweating, as well as diarrhea. In this way you can warm the exterior, astringe copious sweating, and tone loose bowels to avoid dehydration. Cinnamon-spiced milk is a nutritive beverage that warms the body, supports digestion, and can help tone the lower digestive tract to relieve loose or runny bowels. Cinnamon has an affinity for the mouth and teeth. As an anodyne, cinnamon has been used to alleviate toothaches. You can even use cinnamon powder to brush your teeth for a whiter, brighter smile and fresh breath. The astringent and antimicrobial properties of cinnamon will help support oral health that goes beyond cosmetic improvements. Cinnamon is a common ingredient in chai teas. A chai spiced tea can be a great base for administering other herbs, especially those to alleviate cold symptoms or that don’t taste as pleasing. Here's one of my favorite chai recipes. Studies have shown cinnamon to be effective in relieving arthritic pain. In a study at Copenhagen University patients were given a mixture of half a teaspoon of cinnamon powder along with one tablespoon of honey every morning before breakfast. After one week they had significant relief in arthritic pain and could walk without pain within one month. 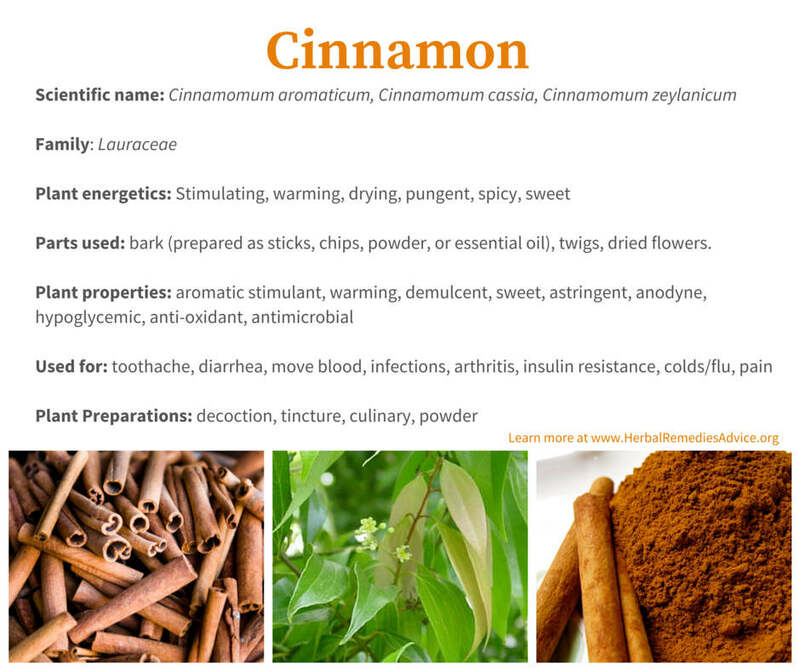 Helping to warm the interior and clear stagnation also makes cinnamon a great ally for menstrual cramping. You can make a basic chai tea for this purpose while also adding crampbark (Viburnum opulus) to the mix for increased anti-spasmodic properties. Cinnamon has been making headline news lately for its ability to decrease insulin resistance and lower blood sugar levels in diabetics. Most of these studies involved using Cassia cinnamon. People with insulin-dependent diabetes need to consult their doctor about taking cinnamon so that injected insulin levels can be adjusted as necessary. Effective against Candida overgrowth, cinnamon can be used to stop yeast infections that are resistant to western anti-yeast drugs. High blood sugar levels can be a contributing cause of chronic yeast infections and I find it interesting that cinnamon can help in that arena as well. Cinnamon is such an effective blood thinner that if you are taking blood thinning medications it is not advised to take therapeutic doses of cinnamon at the same time. Cinnamon offers nutrient benefits as well. It is high in manganese and a good source of calcium and iron. Please note that cinnamon is contra-indicated during pregnancy and should be avoided in extremely large doses. 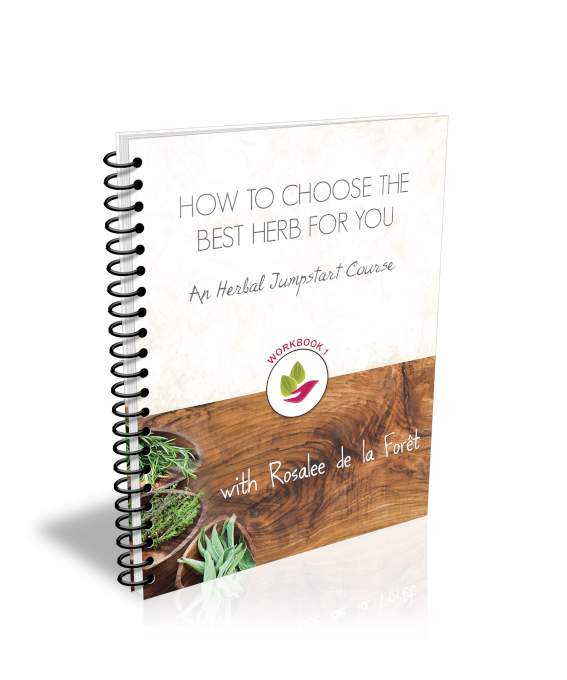 It can significantly lower blood glucose levels and so people with diabetes should have their insulin monitored closely if they wish to take this herb regularly. There have been some recent concerns about potentially harmful properties for the liver found in Cassia cinnamon. If you plan to take this herb in large amounts for an extended period of time then I recommend getting Ceylon cinnamon. 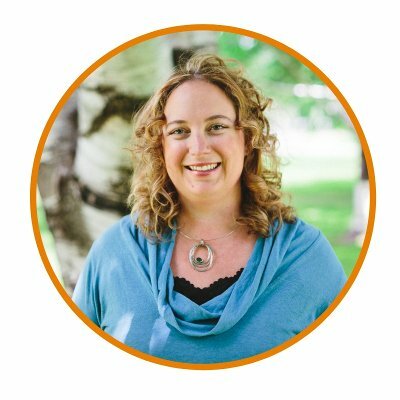 Cinnamon trees are in the Laurel family. Although they can grow up to 60 feet tall, the trees under cultivation are heavily pruned in order to encourage the tree to generate small shoots. They produce leaves that are ovate-oblong in shape and are about 3 to 7 inches long. The flowers have a distinct aroma and when in bloom bees and other pollinating insects swarm the air, irresistibly attracted to the sweet scent. They are arranged in panicles (similar to lilac flowers) and have a greenish color. Sometimes these flowers are dried and also used as a spice. The fruit is a small purple berry containing a single seed. Cultivation of cinnamon is a long, arduous process requiring hard work. The traditional method has been passed down for centuries and remains mainly unchanged. Trees are grown on plantations and are heavily pruned when they are two years old. This creates a lot of bushy shoots at the base of the tree. These shoots are harvested after a monsoon, which makes them easier to process. Then the hard work begins by separating the inner bark from the rest of the tree. Layers of these inner barks are pressed together and then laid out to dry whereby the bark curls together to form the cinnamon “sticks,” also called cinnamon quills. After they are properly dried, they are then cut to a specific size and shipped around the world. You can use it in cooking, not only for sweet desserts, but in rich savory dishes as well. Add it to a variety of tea blends for a sweet spicy taste. You can tincture cinnamon. I like to use the tincture in formulas or even as an addition to coffee or tea. It can be used externally as a liniment or massage oil. My most frequent use of cinnamon is as a tooth powder. Simply dip your toothbrush in fine cinnamon powder and brush you teeth as you would normally. 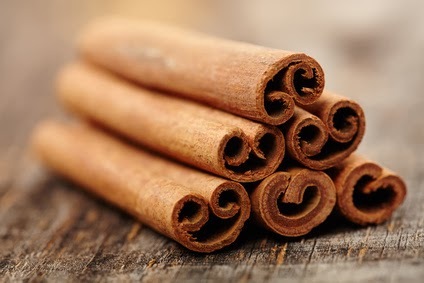 If taking cinnamon lowers blood glucose levels (in addition to diet, exercise and sleep), then I typically recommend cinnamon capsules or the powder stirred into another medium. Your spice cabinet holds some amazing healing spices and cinnamon is certainly at the top of the list. Whether simply enjoying it in food or using it in larger dosages to address specific health problems, cinnamon deserves to be used regularly.